Broadcasting live at www.foxwoodslive.com with commentary by Chris 'Fox' Wallace, and "Minnesota Molly" Mossey. 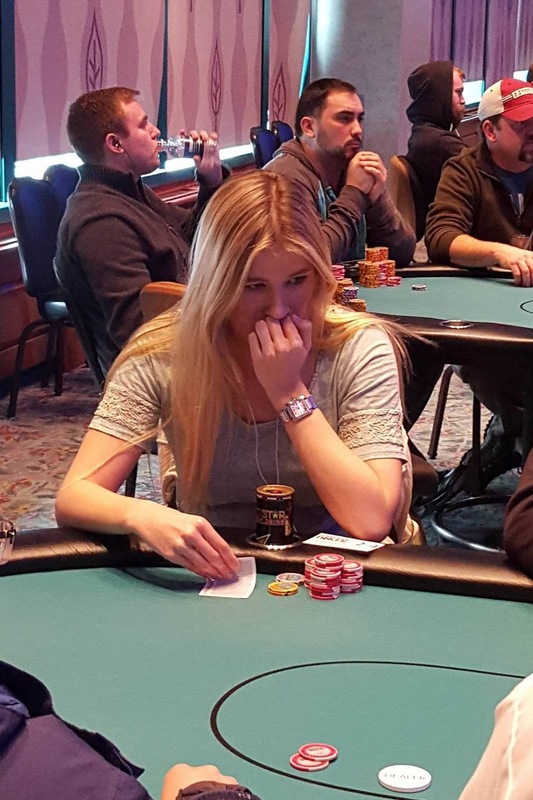 Event #9 is down to the final 30 players, with 18 players making the money. They are currently playing level 16, with 1,500/3,000 blinds and a 500 ante. The live stream on foxwoodslive.com may be down for a few minutes while we run some tests in preparation for the commentary and live stream of the final table. We will get everything back up and running ASAP. Thank you for your patience while we work to bring you the most stellar final table feed possible. The final 18 players in Event #8 are now on a 60 minute dinner break. They will return to 12,000/24,000 blinds and a 4,000 ante. There were a total of 158 entries in today's $300 No Limit Hold Em Bounty Event. On a board reading [qh][js][8d][3h], Vincent Rosarbo checks in the cutoff, and the button bets 7,000. Rosarbo calls. When the river comes the [2s], Rosarbo again checks, the button shoves all in, and Rosarbo quickly calls, turning over [ad][as]. The button says, "You win," as he turns over [7h][8h]. Rosarbo is awarded a full double up, and is now sitting with 55,000 in chips. 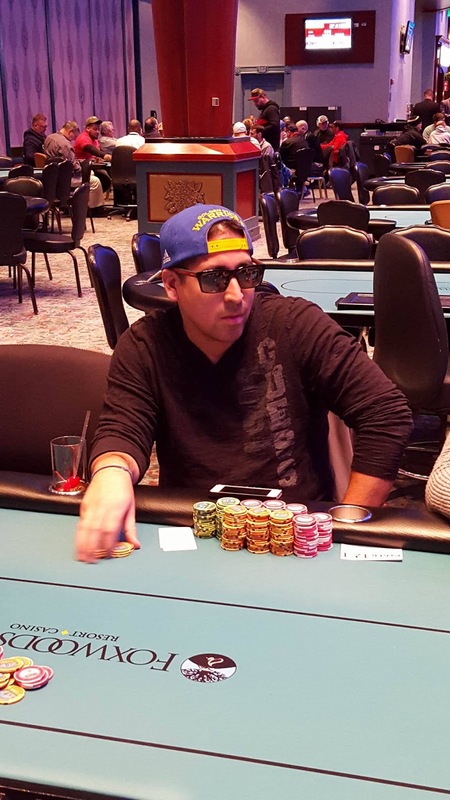 Brad St. Vincent is currently sitting with one of the biggest stacks in Event #8. There are 46 players remaining at the moment, all of them officially in the money. On a board reading [ad][3d][2s], the player in the small blind bets 1,500, Kinnon Smallbone raises to 4,000 in the cutoff, and the small blind calls. Both players check the [qc] turn. When the [7d] comes on the river, the small blind checks, and Smallbone shoves all in for 3,675. The small blind thinks for over a minute before ultimately folding [ah][qs] (two pair) face up. Smallbone does not show his cards. 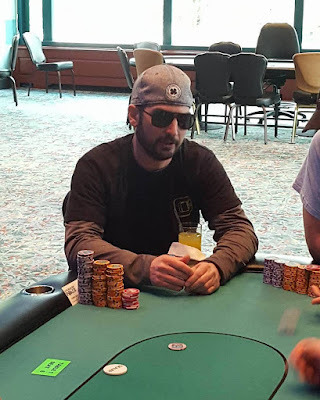 With 65 players remaining, two players were eliminated on separate tables, and now all remaining players are officially in the money and guaranteed at least $700. Everyone has their eye on the top two spots, which guarantees not only their share of the prize pool, but also a $5,000 package to the PPC Aruba Championship. For more information please see www.ppcpokertour.com. And for a full list of payouts for Event #8 please see think link. 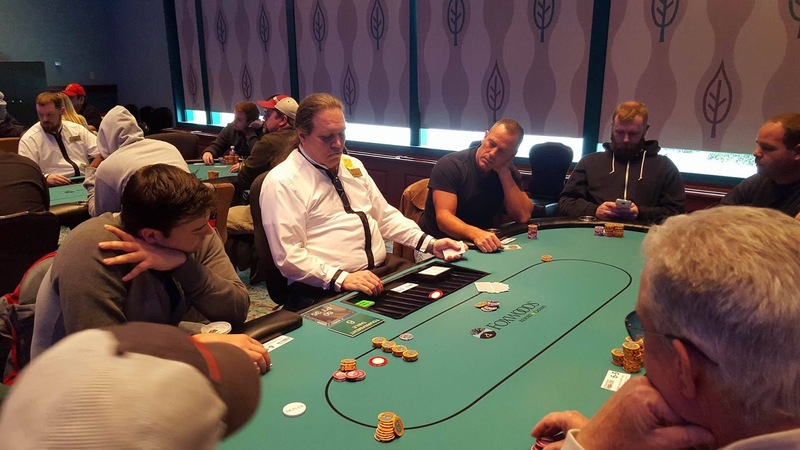 On a board reading [as][5h][2d][10d], Russell Sanzeri moves his stack in from of him, shoving all in for nearly 80,000, and Steve Happas quickly calls. The [kh] comes on the river, sending Sanzeri home just short of the money. Happas is now sitting with around 150,000 in chips. There are now 66 players remaining, with 63 getting paid. We are now down to just 69 players, with 63 of them making the money in Event #8. 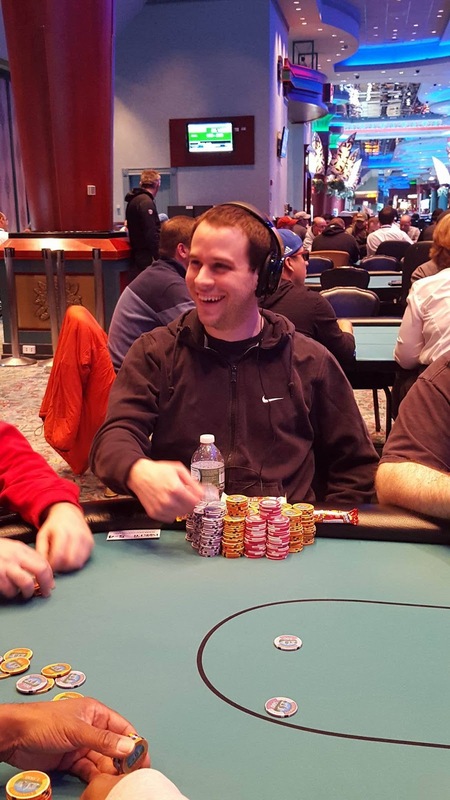 Action folds around to Matthew Sedgeman in the cutoff who raises to 11,000. The button folds, and with action on John Yanni in the small blind, he shoves all in. 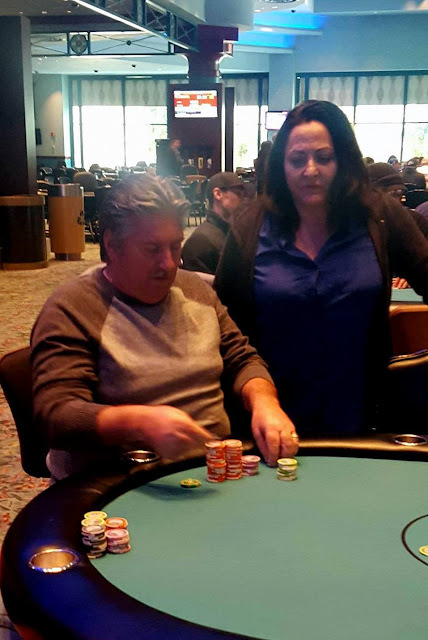 John Dimeglio asks for a count in the the big blind. Upon hearing the total of 60,500 he says, "I need a minute here guys." After a minute of thinking about it, Dimeglio reshoves over the top of Yanii, and the original raiser Sedgeman folds his hand. The [jh][8d][4c] flop is safe for Yanni, but unfortunately the [qc] turn gives Dimeglio a higher pair. The [kd] on the river does not improve his hand, and Yanni is sent home within ten players of making the money. On a board reading [10h][8c][4h], Bruce Peterson is all in and has been called by Dan Fairweather. The [10c] on the turn and [2d] on the river ensures a full double up for Peterson. "How do you call pre there," Fairweather asks as Peterson is stacking his chips. As a reminder, we are streaming a feature table of Event #8 on www.foxwoodslive.com. 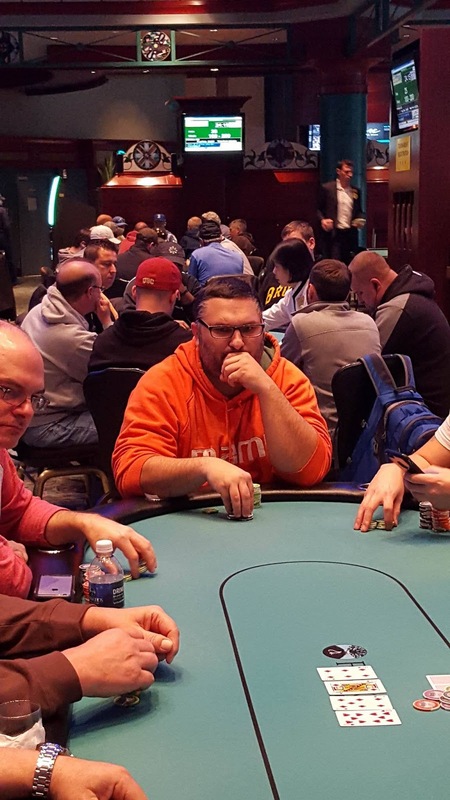 Event #9 has just kicked off, and players are taking their seats. This $300 buy-in event provides 20,000 in chips, and players are allowed to enter and re-enter up until the start of level 9 (all levels are 30 minutes in length). A full structure for this event can be found here. The 101 players combined from flights A and B have just taken their seats, and play has begun. This event will be paying out 63 spots in addition to the two $5,000 PPC Tour Aruba packages awarded to the top two finishers. For more information on the PPC please see www.ppcpokertour.com.